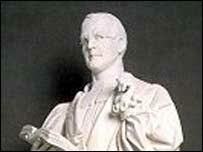 Why Did I Create this Blog About Dietrich Bonhoeffer? Good morning. If you are new to this site, I welcome you. 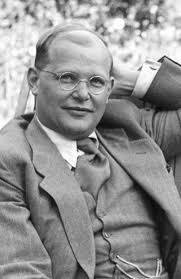 This bonhoefferblog has a purpose: to share with my fellow pastors and preachers the impact that Dietrich Bonhoeffer can have on our preaching and our lives. The creation of this blog and the feedback I receive from those who visit it will help me in the completion of my Doctor of Ministry degree through Gordon-Conwell Theological Seminary. My D.Min. track is called “The Preacher & the Message“. It is under the leadership of Dr. Haddon Robinson (picture on the right). 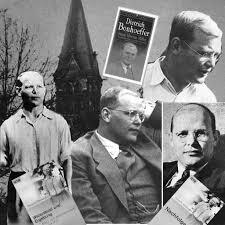 I have been interested in Dietrich Bonhoeffer since my days at Bethel College (now Bethel University) in St. Paul, MN. I graduated in 1982 with a B.A. in Biblical and Theological Studies. I then graduated with a Master of Divinity from Bethel Theological Seminary in San Diego in 1985. I have been a senior pastor in the Baptist General Conference since 1985. I have been in three churches: First Baptist Church of Dannebrog in Dannebrog, NE (1985 to end of 1993); Calvary Church of the Pacific in Aiea, HI (1994 to end of 2001) and Harvey Oaks Baptist Church in Omaha, NE (2002 to present). The six reasons will be shared in six stages. Each stage will expand on the above statements. In the next couple of days, I will post the sixth reason: The grace of living well and dying well. As always, I am extremely grateful that you took the time to read one or some of my posts. Please offer any feedback. You can click the “Evaluation Form” at the top of the page or leave a comment on any post. You may also e-mail me, if your desire, at bryan@harveyoaksbaptist.org. John Piper’s Answer to: “Was Dietrich Bonhoeffer wrong to plot against Hitler’s Life? Let me begin by distinguishing private citizen activity and military activity. The state, according to Romans 13, is given the sword to reward the good and to punish the evil. That would include, I think, punishing the evil of aggressors who attempt to destroy your land, your town, or your culture. Insofar as you’re a policeman or a soldier, it is not a sin to shoot and kill, as long as the cause of the war is just. I know that’s a huge issue, but I think the Just War theory is an appropriate biblical reflection on which wars are warranted and which aren’t. Almost everybody agrees that in World War II it was right for the Allies to engage in violence against the aggressors, Germany and Japan. If you’re in a war and an aggressor is destroying thousands of lives and taking lands and states that were not his by law, and militaries are mounted to resist that aggressor, probably there are going to be some ambiguous issues. For example, if you are part of the Delta Force or the Navy Seals and there are ten of you, and you are commissioned to go in and take somebody out, is that military or is it personal? I want to be open to the fact that there may be a Christian in that band of people who does right if he is persuaded that his involvement is helping save thousands of lives. Now Bonhoeffer was not a military actor, I suppose. I don’t know the story exactly. But he was somehow working towards this assassination plot and was discovered. So the question is, Is there enough connection between the role of a band of citizens functioning as a military here—because of the horrendous nature of the evil—that it could have been warranted? I’m going to just try and be real slow to condemn Bonhoeffer here. In general I would say we do better in witnessing to Christ by being willing to suffer and not kill than if we go the other route. Over the past 30 years, I have struggled with Bonhoeffer’s involvement in a resistance movement that advocated violence in the fight against evil. Yet, I as well, have been “slow” to criticize him. It is very difficult for me in twenty-first century America to condemn another Christian who lived in a place and time characterized by so much evil and darkness. My fear is that if I was a pastor in Germany during the the 1930’s, I, like many in the church then, would have compromised my faith and preaching. Did Dietrich Bonhoeffer Change from Pacifist to Conspirator? It is an interesting question. Was Dietrich Bonhoeffer a pacifist or a conspirator to topple Adolf Hitler? I read a blog post today that struggled with that very question. Do I remember correctly: didn’t Bonhoeffer try to assassinate Hitler and almost succeed? He was executed as a martyr for this and probably other actions. Do you think it is ever justified as a Christian to take this type of action ? What a great question. I especially appreciate the appeal to biography, to the concrete life of someone we look to as a faithful follower of Christ. But in appealing to Bonhoeffer’s biography we will learn a great deal if we start ten years earlier at Finkenwalde, the illegal secret seminary of the German Confessing Church. This was the beginning of his subversive activities. But history tells us a different story. Bonhoeffer did not persevere in his convictions. Finkenwalde failed. The Confessing Church failed. The communities that Bonhoeffer poured his life into could not endure in the way of Christ’s cross against the Nazis. The members of Finkenwalde compromised under the pressure of the draft. The Gestapo shut down the secret seminary in 1940. There was no more community to cultivate non-violence and Bonhoeffer could not stand-alone. With his Christian community destroyed, Bonhoeffer returned to the only community he had, his irreligious, pro-German, anti-Hitler family in Berlin. Upon arriving at his parents’ house Bonhoeffer was surrounded by secret plots to seize political power from Hitler and institute a conservative government through violent means. Bonhoeffer had no faithful Christian community in which to locate himself. His geographical context was quite different. His house was the meeting place for violent political action. The desires and practices of a community, whether Finkenwalde or the Bonhoeffer residence, shape its members whether they like it or not. It was only a matter of time before Bonhoeffer submitted to the goals of his new community. He was arrested and executed as an assassin. From my understanding of Dietrich Bonhoeffer, he did not abandon his views of peaceful resistance. Throughout the 1930’s and up to his point of death, he was a man of convictions. This is not to say that he didn’t wrestle with what he needed to do as a Christ-follower. As time passed, he realized that pacifism could no longer get the job done. Certainly, pacifism has a time and a place. Yet, there may times when the followers of Jesus must move to other means in order to be the salt of the earth and the light of the world. As early as of April of 1933, when Bonhoeffer addressed a group of pastors in Berlin, he talked of the possibility of jamming the spokes of the wheel (see the fourth reason how Dietrich Bonhoeffer can impact us). In other words, as the condition in Germany deteriorated, the response of the church, according to Bonhoeffer, had to adjust. “O God our Father, who art the source of strength to all thy Saints, and who didst bring thy servant Dietrich Bonhoeffer through imprisonment and death to the joys of life eternal: Grant that we, being encouraged by their examples, may hold fast the faith we profess…” (quoted in Stephen R. Haynes, The Bonhoeffer Phenomenon: Portraits of a Protestant Saint, 148). This week, we have seen how Bonhoeffer’s example of serving Jesus in the severest of trials can impact our lives in the twenty-first century. I would love any feedback you may have. You may click the “Evaluation Form” at the top of the page or leave a comment to any post or you can e-mail at bryan@harveyoaksbaptist.org. The fact that Muller was elected by church delegates indicated Hitler had already cast his spell. The door was now open for national policies to become church polices. For example, the “Law for the Reconstruction of the Professional Civil Service” was passed by the German Reichstag on April 7, 1933. It contained the Aryan Clause which banned Jews from serving in the government. On September 4, 1933, the Evangelical Church adopted the Aryan Clause. From that point on, pastors of Jewish descent were denied rights as ordained ministers. By 1936, compromise had slipped into the Confessing Church. On January 10, 1936, Bonhoeffer addressed a group of clergy at Stettin-Bredow and declared that the “church had, in short, become susceptible to skilled subversion by state propaganda. In standing still, he said, they ‘destroy the church.’ He urged them to move forward.” Over the course of time, as more pastors were imprisoned, the voice of the Confessing Church lost its boldness. What is the Purpose of this Bonhoefferblog? I am going to use this post to bring us up to speed about this bonhoefferblog. If you are new to this site, I welcome you. This bonhoefferblog has a purpose: to share with my fellow pastors and preachers the impact that Dietrich Bonhoeffer can have on our preaching and our lives. I have been a fan of Dietrich Bonhoeffer since my days at Bethel College (now Bethel University) in St. Paul, MN. I graduated in 1982 with a B.A. in Biblical and Theological Studies. I then graduated with a Master of Divinity from Bethel Theological Seminary in San Diego in 1985. The six reasons will be shared in six stages. Each stage will expand on the above statements. Tomorrow or Tuesday, I will post the fifth reason: Serving Jesus in the severest of trials. As always, I am extremely grateful that you took the time to read one or some of my posts. Please offer any feedback. You can click the “Evaluation Form” at the top of the page. You may e-mail me, if your desire, at bryan@harveyoaksbaptist.org. “Next week (April 9th) will be the 56th anniversary of the execution of the German pastor Dietrich Bonhoeffer, aged 39, in Flossenburg, Germany. It strikes me that Bonhoeffer’s life and faith have something very important to say today about both Lent and Easter. Permit me therefore to draw heavily on a book of Bonhoeffer’s writings selected by Robert Coles in the Modern Spiritual Masters Series. First, a little history about what much of the Christian world considers to be one of the 20th century’s best-known and most universally-admired martyrs. Bonhoeffer was born in 1906 to a respected German family. He completed his work for a doctoral degree in theology and in 1931 became a lecturer in religion at Berlin University and was also ordained as a Lutheran minister. In 1933, only two days after Hitler was made chancellor, Bonhoeffer, then only 27, broadcast on radio a warning about totalitarianism, but was cut off the air as he spoke. Later the same year, in company with Pastor Martin Niemoller, he warned Germany’s church ministers about the dangers of Nazi rule. A year later, he helped to organize the Confessing Church, which was a critical response to Hitler that called on Germans to stand first with Christ. Dictionary.com defines “tyrannicide” as the “act of killing a tyrant.” Dietrich Bonhoeffer, a German Lutheran pastor, was involved in a plot to kill a tyrant, namely Adolf Hitler. “Documentary evidence is rather sparse, however. The entire written account is even sparser than the limited commentary on pacifism. The testimony of a close friend involved in much the same way in the same conspiracy, such as Bethge, is thus all the more indispensable. Yet even then the whole remains an unfinished mosaic. Perhaps this is in the nature of any abortive conspiracy whenever the survivors are few. The lack of Bonhoeffer’s lack of extended commentary is also obvious to anyone who understands the dangers of the written word to an underground movement in a totalitarian state. Despite the fragmentary witness, however, a study of Bonhoeffer’s resistance cannot bypass this active approval of tyrannicide” (131). On the one hand, we really do not have any idea how Bonhoeffer wrestled over his involvement to remove Hitler. We have not faced anything like he did. Yet, on the other hand, as Christ-followers, we just may have a little glimpse in how he struggled. If our hearts are led by God’s Holy Spirit to protect and even rescue those being led away to death (Proverbs 24:11), then does that mean stopping a Hitler-like tyrant? What are your thoughts on this? I would love your feedback. Dietrich Bonhoeffer’s Struggle Over Evil in Society. This week, we have focused how Dietrich Bonhoeffer took a stand against evil. Larry L. Rasmussen writes in Dietrich Bonhoeffer: Reality and Resistance that “there is no question that Bonhoeffer approved of the assassination of Hitler and even volunteered for the task. A troublesome decision for any morally sensitive German, it is all the more intriguing in light of Bonhoeffer’s earlier self-designation as a ‘Christian pacifist.’ For one as basically nonviolent and reflective as he, there could only have been extensive wrestling with the issues of tyrannicide” (131).